1.5% balance transfer fee applies. No annual fee for the fist year ($199 thereafter). Receive a complimentary bottle of wine every time you dine at a partner restaurant and pay with your Citi card. Late Payment Fee of $30 each time we do not receive the Minimum Payment Due and any Overdue Amount by the payment due date, debited to your Account after the payment due date. The Minimum Payment Due, any Overdue Amount, and payment due date are detailed on your statement of account. The Citi Platinum credit card has a high credit limit, high interest rates and a moderate number of interest-free days. The card charges no annual fee in the first year before charging a moderately high annual fee ongoing. This card earns points on eligible purchases through the Citi Rewards program. With the Citi Rewards program, card holders collect 1 point per $1 spent on domestic purchases up to a certain amount per statement period. Customers also receive 1 reward point per $1 spent on eligible overseas purchases. Points earned on international spend are uncapped. The Citi Platinum card comes with four complimentary insurances, including travel, transit accident and extended warranty insurance. It also offers 0 per cent interest on balance transfers for 26 months for customers wishing to transfer existing debt. The Citi Platinum credit card could be well-suited to potential card holders looking to transfer existing debt. The card offers 26 months interest-free for balance transfers, which might make it a sensible choice for customers looking to pay off existing debts. However, because of the high interest rates after the deal expires, this card may be best for card holders who believe they can clear their debt within the 26-month timeframe. This credit card may also be a good fit for customers in search of a flexible rewards scheme. 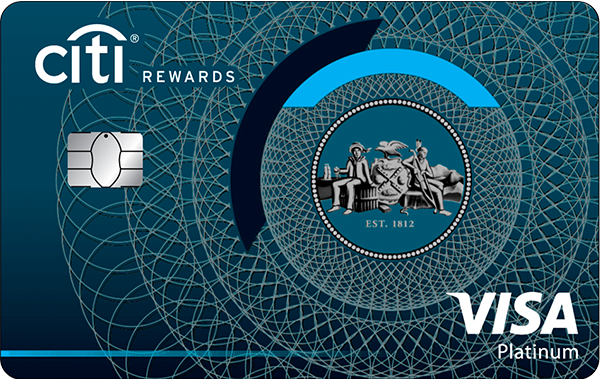 The Citi Rewards program allows card holders to redeem points for a wide range of benefits and merchandise. The Citi Platinum is not particularly suited for international use. The card charges an international transaction fee for any purchases in a foreign currency, as well as purchases made in Australian dollars through vendors located overseas. The Citi Platinum credit card offers a rewards program with a range of redemption options. Rewards points can be used for a statement credit, cash back, frequent flyer miles or products from the Citi Rewards Store. The card earns points at a reasonable rate of 1 reward point per $1 spent on eligible purchases. One of the benefits of the Citi Platinum card is its balance transfer offer. Offering 26 interest-free months on balance transfers, this may be a beneficial card for customers with existing credit card debt. After this offer has expired, card holders can still take advantage of other benefits, such as the rewards scheme. However, card holders should be aware of the moderately high annual fee after the first year, as well as the high interest rates. Potential card holders should consider whether they will be able to pay their bill in full each month. Applying for the Citi Platinum credit card takes only 15 minutes using a secure online application. You must be at least 18 years old and an Australian resident to be eligible. You also must earn more than $35,000 per year. When applying, be sure to have certain information nearby, including employment details, gross income and monthly expenses. For balance transfers, you’ll also need the account details and the amount being transferred. Citibank, also called Citi, is a part of Citigroup, which is one of the world’s largest financial services organisations. Citibank began operating in Australia in 1985 as the first foreign bank to be granted a banking licence, and is now the largest international bank in the country. Citi’s financial services include credit cards, everyday banking, loans, insurance, investments and wealth management. Customers can contact Citibank via phone and email, or by visiting a Citibank branch.